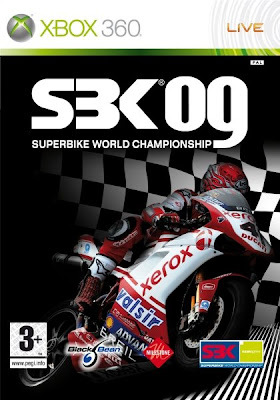 The new super bike racing sim for the Xbox 360 and Playstation 3 is due to hit the shelves March 10th, and with the very attractive price tag of $29.99, who needs a better reason to get their fix of 2 wheeled racing? The newest racing entry from Conspiracy Entertainment and Black Bean Games is bringing racing enthusiasts fully licensed tracks, riders, parts, accessories and motorcycles in the form of arcade and simulation-focused gameplay. The cherry on top? Well how about getting on line with eight other bikers and wiping the floor with them. Another feature that caught my eye is the ability to tune motorcycles in the form of suspension, gearing, tires, and braking throughout the racing championship to meet the needs of the courses and conditions. Race fans; get ready to start your engines!